Claudio Pierantoni contributed to the “filial correction.” Professor Pierantoni is currently a professor of Medieval Philosophy in the Philosophy Faculty of the University of Chile (Santiago). He has two PhDs: in the History of Christianity and in Philosophy. 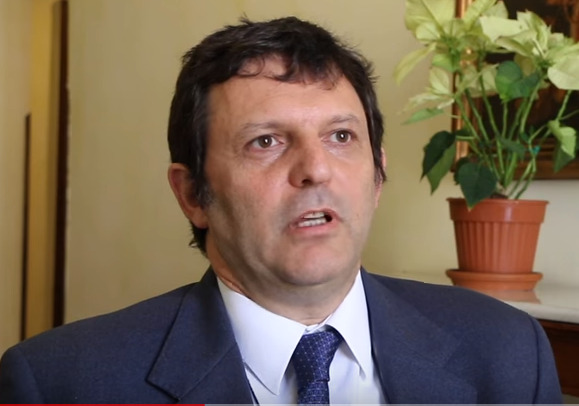 Professor Pierantoni claims that Amoris Laetitia masks heterodox doctrines by ambiguous language and formulas. Alarmingly, he suggests the defence of the faith must now involve, as it did in the fourth century, the difficult necessity of resistance to magisterial documents. The Abstract and a relevant section of his article follows. In this article a parallel is drawn between the Arian crisis in the fourth century and the present controversy about Amoris Laetitia (AL): despite the differences in the theological contents, the two crisis are similar for the grave circumstance that, in both cases, a large part of the Catholic hierarchy seems to back, or at least not to object to, a doctrine that contradicts the constant teaching of the Church and the Word of God itself. So the defence of the faith must now involve, as it did in the fourth century, the difficult necessity of resistance to magisterial documents: the documents of the filo-arian Synods issued under Emperor Constantius and in parallel, the documents of the last Synods about family and the Apostolic Exhortation that followed. In both groups of documents, I show how the heterodox doctrines are ably masked by ambiguous language and formulas: so it is an additional but necessary duty that of unmasking the real intentions behind formulations that can at first sight appear innocuous. I) Interpretation of the “hermeneutic of continuity”: according to the principle of hermeneutic of continuity, the expression “in certain cases” should be interpreted as referring to specific cases indicated in documents of already existing Magisterium, such as Familiaris consortio (FC), which states that absolution and Eucharistic communion can be given in cases in which the cohabitants promise to cohabit as brother and sister. This interpretation is based on a fundamental hermeneutic principle, which may appear irrefutable; but is unfortunately contradicted by footnote 329, which explicitly states that this behaviour (namely cohabitation as brother and sister) is potentially damaging and hence to be avoided. II) “In certain cases” can be interpreted in a broader sense as referring to the subjective certainty of the nullity of the previous marriage (assuming that, for particular reasons, it is not possible to prove this in a tribunal). In such cases it could certainly be possible that, in the secret of conscience, there is no fault in the new union: this could be viewed, in terms of moral doctrine, as in accordance with FC. Yet there remains a fundamental difference in ecclesiological terms: Eucharist is a sacramental, public act, in which it is not possible to take into consideration a reality which is inherently invisible and publicly unverifiable. III) “In certain cases” can be interpreted, still more broadly, as referring to a lesser or even non-existent subjective responsibility, due to ignorance of the rule, lack of capacity to comprehend it, or even “force majeure”, in which a given special circumstance can be so strong as to “compel” cohabitation more uxorio, which would hence not constitute a grave fault; indeed, according to the document, the abandonment of cohabitation could incur a still more grave fault. Here we already run into more serious problems of moral theology. Ignorance and lack of capacity to understand may in effect limit personal responsibility: yet it is incongruous, not to say contradictory, to invoke them in this discourse, in which a process and guided discernment are envisaged, processes which should be specifically designed to overcome ignorance and lack of capacity to understand. With regard to force majeure, it is certainly not obvious, but indeed contrary to the entire tradition, and major dogmatic pronouncements, that this can justify failure to adhere to divine law. It is true that it cannot a priori be excluded that there may be particular circumstances in which the situation can change the moral species of an act which is externally the same, even conscious and intentional: for example, where the act of removing an object from someone could be construed, not as a theft, but as an act to help a person in an emergency, or an act designed to prevent a greater evil. However, even assuming, for the sake of argument, that this can be applied to adultery, a decisive impediment to a justification of this kind is the characteristic of permanency of objectively negative conduct which, even if it were justifiable in a specific moment of emergency, cannot be justified in a stable situation, consciously chosen. At all events validity must always be accorded – as in the previous case - to the ecclesiological principle that under no circumstances can something which, by its very nature, belongs to the secret of conscience, be rendered magically visible at the public level. IV) “In certain cases”, according to the broadest interpretation of all, can be extended to include all those cases – those which are real, concrete and frequent which we generally have in mind – in which there is an unhappy marriage, which fails due to a series of misunderstandings and incompatibility and is followed by a happy cohabitation stable over time, with reciprocal fidelity, etc. (cf. AL 298). In such cases, it would appear that the practical result, in particular the duration and felicity of the new union by comparison with the brevity and/or unhappiness of the previous union, is interpreted as a kind of confirmation of the goodness, and hence legitimacy, of the new union: in this context (AL 298), any consideration of the validity of the previous marriage, lack of capacity to understand or force majeure, is absent. In effect when, a little further on (AL 300), consideration is given to the type of discernment required in such cases, it becomes still clearer that the matters under discussion in the examination of conscience and associated repentance will be none other than good or bad conduct in the face of the unsuccessful marriage and the good outcome of the new union. It is clear that the “repentance” which is the concern here is in no way related to the new union in the presence of a previous lawful union; but relates instead to: a) the conduct during the previous crisis, b) the consequences (not more clearly defined) of the new union on the family and the community. It is hence manifest that the document intends to push beyond those cases in which there is subjective certainty of the invalidity of the previous bond, cases of ignorance, difficulty in understanding, force majeure or presumed inability to comply with the law. It is now sufficiently clear that the valid benchmark for a judgement on the “lawfulness” of the new union is ultimately its practical success and visible happiness, as against the lack of success and unhappiness of the previous marriage: this assumed “lawfulness” is obviously a pre-requisite for the reception of sacramental absolution and the Eucharist. The inevitable consequence is that the previous marriage is implicitly, but publicly, now regarded as devoid of effect and hence dissolved: therefore, we note that, by this kind of “pastoral care” marriage is in fact declared dissoluble. Hence, although the Catholic Church continues in words to affirm its indissolubility, in fact divorce is introduced. It is also clear that, if the success of the new marriage is sufficient to establish its lawfulness, this includes justification of virtually all cases of a new union: in fact, if the new union were thought to be devoid of success, there would be no incentive to justify it and one will then be open to a further union, in the hope of greater success. This, and nothing else, is precisely the logic of divorce.